“Build the Wall! 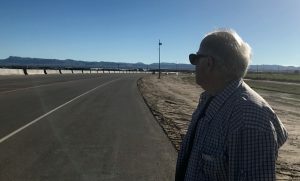 Even Heaven has a gate.” So reads a Texas bumper sticker proclaiming that the car owner favors building a huge wall along the entire US-Mexican border. Immigration is one of the most contentious issues worldwide. The massive movement of peoples is a global phenomenon. To date over 65 million people are on the move due to war and climate change. The situation is so serious that the United Nations (with the U .S. in opposition) has issued the Global Compact on Migration, defining the rights to liberty and protection of migrants from arbitrary detention and other abuses. In the United States, immigration is also a hot-topic issue, especially after September 11, 2001, when national security concerns were linked (unjustly?) with border crossings and migration. Immigration became politicized and partisan. Emotions and opinions tend to override the gathering of facts and asking questions about why there is immigration in the first place. 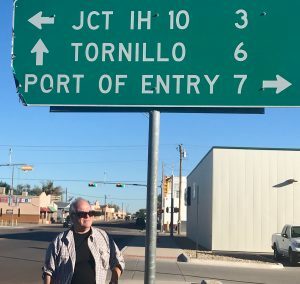 Recently, I was in the desert border town of Tornillo, east of El Paso, where the infamous “Tent City” can keep 3800 unaccompanied minors or children who have been forcibly separated from their parents and are detained for deportation. People in the town were reluctant to talk about the situation. Road barriers and security kept unwanted visitors at a distance. Interestingly, unsupportive of this policy, El Paso County Sheriff Richard Wiles prohibited his deputies from working off-duty with the federal facility. I left this desolate area with feelings of sadness and anger. I asked myself, if I were a parent escaping extreme poverty and violence, how would I feel if my child were taken from me perhaps never to be seen again? [It] blocks the insights that concrete situations demand. There follow unintelligent policies and courses of action. The situation deteriorates . . . policies become more unintelligent and action more inept. What is worse, the deteriorating situation seems to provide the uncritical, biased mind with factual evidence in which the bias is claimed to be verified. So . . . intelligence comes to be regarded as irrelevant to practical living. Human activity settles down to a decadent routine, and initiative becomes the privilege of violence (Preface, 8). Insights are blocked because all the relevant questions are not asked and answered, and result in the generation of a series of bad decisions. Why do so many people want to leave their countries in the first place? Answers give us insights into extreme poverty and the collapse of agriculture due to trade agreements like NAFTA. These policies encourage drug cartel activity and violence. Is there complicity? What are the effects of trade agreements on livelihoods? Do we ask the question? Do we care? Another factor is group bias; it is the most dangerous and destructive of the biases that Lonergan identifies. Lonergan explains that group bias is the refusal to consider the pertinent facts and the insights of another viewpoint. It is rooted in a group-think that defends an opinion or emotion at all cost. Group bias is responsible for labeling all Immigrants terrorists and rapists. Fear is aroused and infectious. Skin color, votes and dark money add fire to the immigration debate. Migrants have become scapegoats for deeper insecurities. Group bias against immigrants is unfounded, cruel and unacceptable to a nation that has been home to immigrants. This group bias is nothing less than racist and xenophobic. The political source for such hatred is encouraged by the current administration and their advisors. As a nation, we are slipping into the longer cycle of decline with unforeseen consequences. What can we do? We need to check our own biases and act intelligently, reasonably, and responsibly. Perhaps we, like Sheriff Wiles, can stand together with another “moving viewpoint” of compassion and understanding, one that has claimed to be the Good Shepherd, the bread of life, living water, and the Gate.